When you operate a hotel, a restaurant, or any business within the hospitality industry, it is essential that you have good clean water available in your space. Having clean water is key to pleasing your customers and to making certain that you don’t damage your pipes or appliances. You don’t want to waste money or get poor reviews because of problems with water quality. Because of the large demands for water that most hospitality businesses have, designing an effective water filtration system requires the help of experts. Metro Water Filter of the South has unparalleled experience with commercial water filtration systems, including restaurant water filtration. We can take care of all of your filtration needs and will design the best system for you from the ground up. Hotels and restaurants need clean, good tasting water to serve to guests. Hotels also need to be able to meet the demands of guests who need water to shower with and to make coffee and complete grooming tasks in their rooms. Restaurants, on the other hand, need to ensure not only that the water they serve is clean and high quality but also that the water they cook with is not going to adversely impact the taste of their food. In addition to water for consumption, hotels and restaurants also need high-quality, clean water for laundry services- such as purifying linens and washing sheets- and need to ensure that hard water does not corrode pipes or adversely affect appliances such as dishwashers and washing machines. Water not only needs to be clean, taste good, and be devoid of harmful minerals, but the water also needs to have a high flow rate in order to accommodate the demands of the consumers and of large-scale cleaning projects. Carbon filtration: The use of carbon filters makes it possible to remove chlorine, sediment, odor, and harmful chemicals. Acid filters: Acid filters can ensure your water achieves the appropriate pH balance for optimal taste and for use in cooking, bathing, and cleaning. Iron filters: Iron filters work to remove excess iron from the water. Iron can affect taste and hard minerals in water can affect plumbing and appliances. Reverse osmosis systems: When the highest-quality purification is required and particles must be removed at the microscopic level, a reverse osmosis system is the answer. Water conditioners: Calcium, magnesium, and other hard minerals can cause spots on dishes and buildup on piping. Water conditions can remove these hard minerals. These are just a few of the many different options that we can incorporate into a custom-designed water filtration plan for your organization. 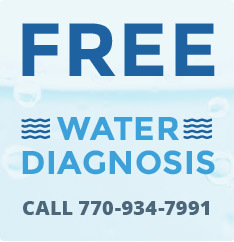 Don’t let your company suffer because of dirty water or hard water- give us a call today to get help from a company you can trust.